Dennis O’Leary, PhD, probed how the brain maps its sensory areas, with distinct brain sections for specific body parts, and made several important discoveries surrounding healthy brain development. 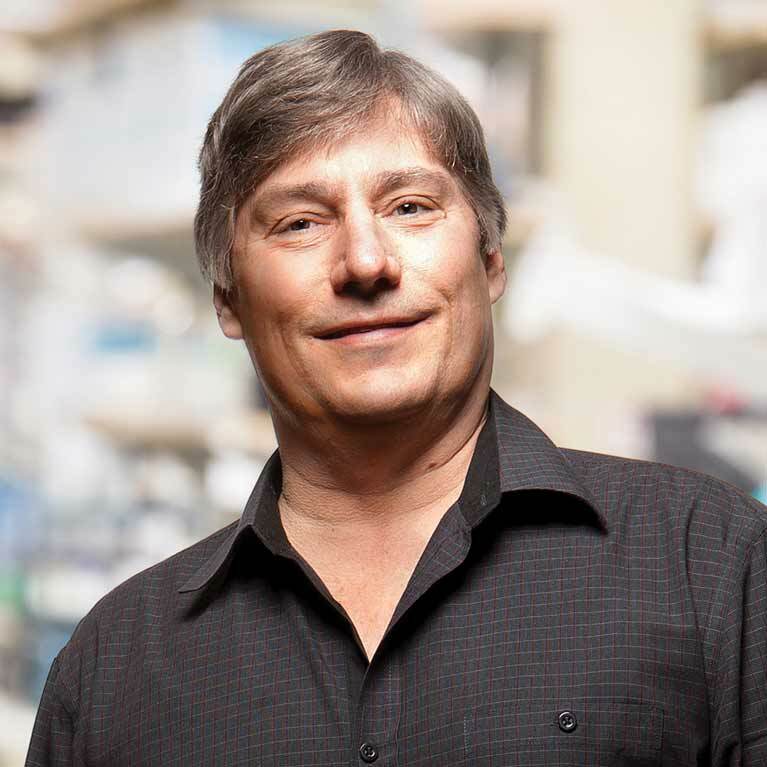 O’Leary tackled questions about brain development in order to better understand the genes and molecules responsible for helping neurons form and find their place in a developing brain in addition to playing key roles in neural function and health throughout life. He focused on genes that aid neurons in a growing/developing brain to connect from one place to another, following chemical cues to find their target. He also strove to understand how other genes are involved in pruning back neurons later in development, dissolving unneeded connections. This same process, scientists suspect, may also play a role in the later disappearance of certain adult neurons whose absence may be tied to dementia. O’Leary also integrated stem cell research into his laboratory in order to develop related therapies tied to the genes he studied. In this arena, he identified molecules that help determine what specific type of neuron stem cells eventually develop into. O’Leary earned a BS in biology and biochemistry from the University of Illinois and PhD from Washington University in St. Louis. He was also a postdoctoral fellow at Salk before joining the faculty. He has received numerous awards for his work and was named a fellow of the American Association for the Advancement of Science in 2003 and a member of the American Academy of Arts and Sciences in 2015.